It doesn’t matter if you’re a yoga beginner or an expert; it can’t hurt to spice things up a bit every now and then. Even if you’ve been practicing yoga for five years, there are always alternative poses and breakdowns for you to try. If you’re looking for the best yoga poses book, then you’re in the right place. 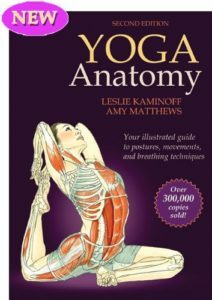 Yoga Anatomy, 2nd Edition, by Kaminoff and Matthews is one of the absolute best that Amazon has to offer and will completely change the way you think about yoga. It proposes a different way to understand yoga: through your body’s anatomy and structure rather than your mind’s determination and ease. This book is crammed with color illustrations demonstrating exactly which muscles you use for different poses. There are also very detailed explanations of how your spine works in the poses. Breathing is also covered in depth. One drawback is that most of the poses are standing rather than lying down poses, but this is still plenty to help a beginner improve her understanding of yoga poses. Yoga Anatomy is co-written by Leslie Kaminoff, who is a yoga teacher and the founder of The Breathe Project, which is a nonprofit organization based in New York City and aims to teach people how to practice breath-centered yoga. Leslie Kaminoff has more than thirty-two years of experience in yoga and in the anatomy of the breath. The second author of Yoga Anatomy is Amy Matthews, who has been a teacher since 1994. She aids in teaching Body-Mind Centering programs and she also teaches yoga programs in both California and New York City. 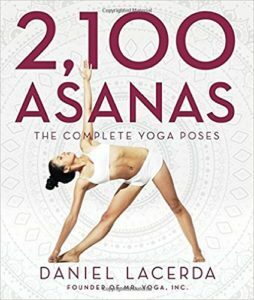 2100 Asanas: The Complete Yoga Poses by Daniel Lacerda is the most complete all-in-one yoga pose book you can find. All 2100 poses are presented with photographs of an expert yogi. Any pose that you can imagine is in here. The poses are organized into categories such as standing, seated, core, quadruped, backbends, inversions, prone, and supine. Each category is further subdivided into easy and more difficult poses. Next to the picture of each poses are English and Sanskrit names, description of the pose, and other useful information. This book is a yoga encyclopedia and can serve everyone from beginners to experts. In fact, the overwhelming amount of information might be too much for some beginners. Still, this is a must-have for the bookshelf of anyone with a real interest in yoga. 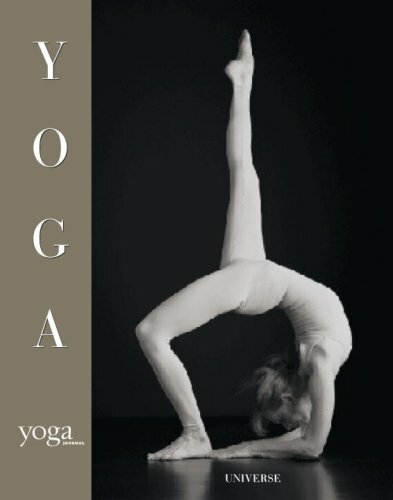 The book Yoga by Linda Sparrowe and David Martinez is gorgeous collection of yoga pose photography along with some information about the history and styles of yoga. The paperback version of the book is a glossy high quality magazine style print and recommended over the hardcover editions. This book is a visual yoga feast. Many of the poses are advanced and meant to inspire you, or teach you new advanced variations of poses. This book might be less useful as an instructional tool for beginners, but perhaps show you poses that can be your goal. For example, everyone knows about Warrior I and II, but do you know what Warrior III looks like? This book will show you. Yoga is one of the most beneficial exercises to improve your body and mind. If you practice at home often, it can be difficult to know exactly which asanas to follow, and maybe you’re looking for a little extra inspiration. Above are three complementary yoga poses books for you to consider.